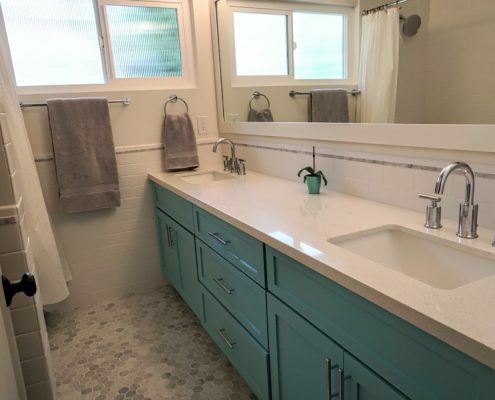 Yet another fun bathroom remodel! 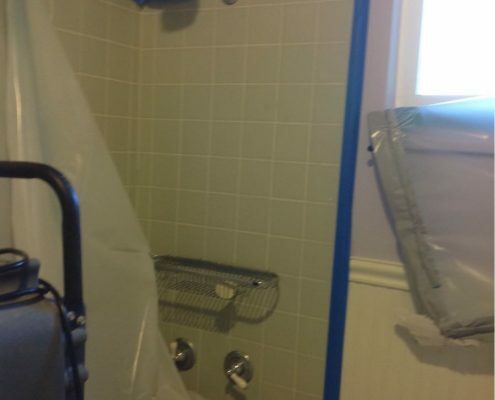 This Claremont homeowner gave us a call after (unfortunately) discovering some extensive water in their daughter’s bathroom. 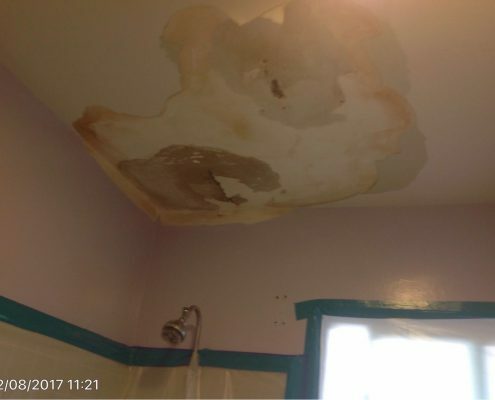 Like many leaks, this one was caused by a bad pipe in the ceiling. This particular leak caused extensive damage to the bathroom, requiring the ceiling to be torn open and the entire bathroom to be gutted. 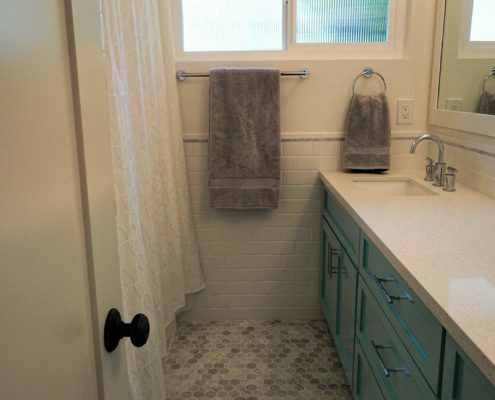 While leaky pipes are never fun to deal with, there was an upside to this; the family was able to redesign and refurbish their entire bathroom with some beautiful and whimsical twists! 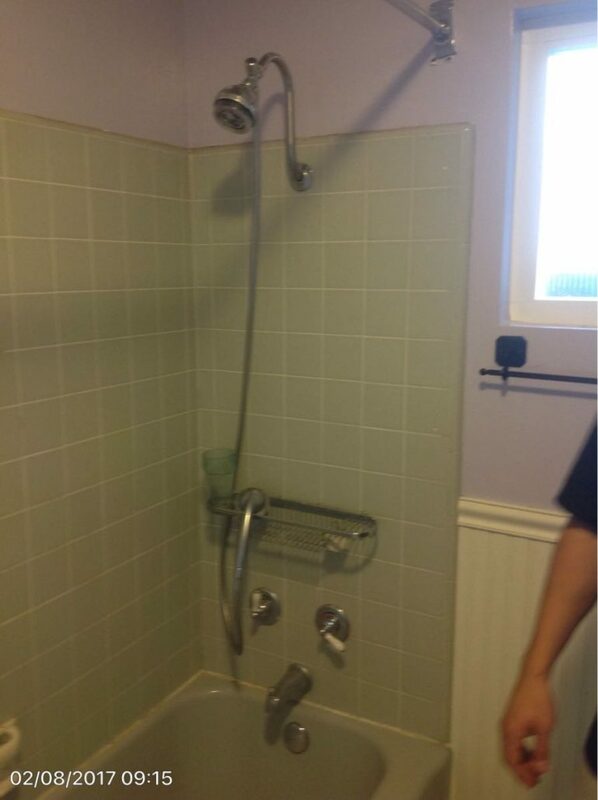 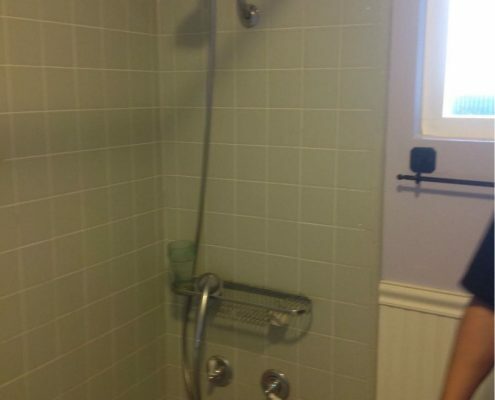 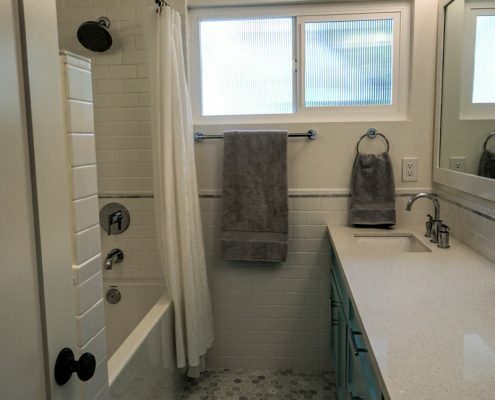 As you can see in the before pictures, prior to it being gutted, this bathroom hadn’t been updated in many years. 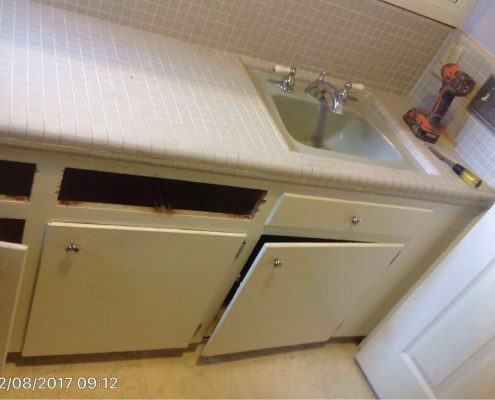 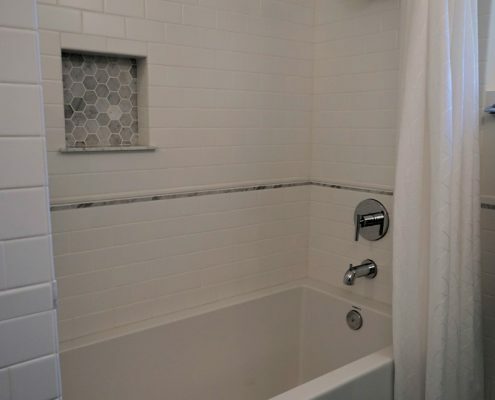 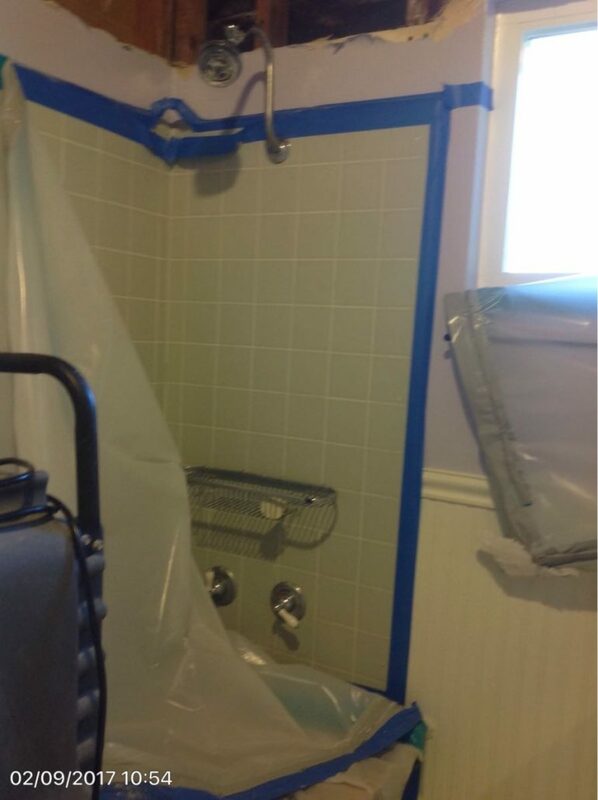 After demoing the bathroom, the homeowner had a blank slate to work with, and they did not let the opportunity go to waste! 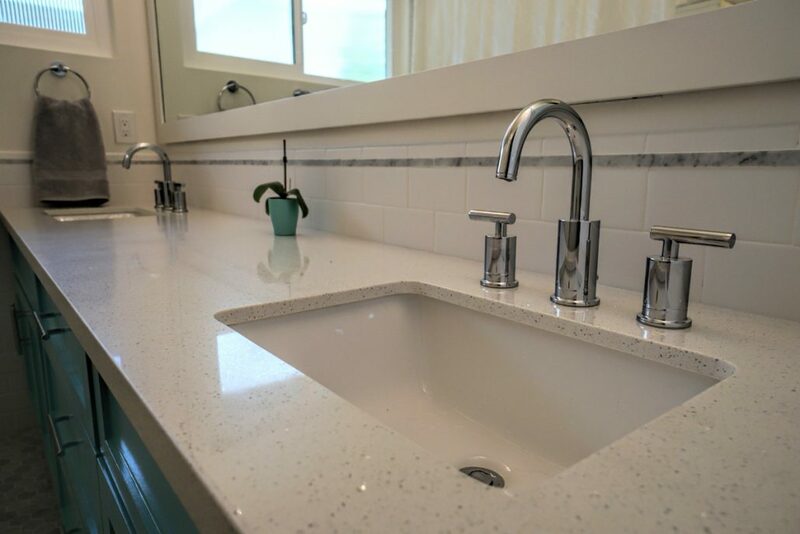 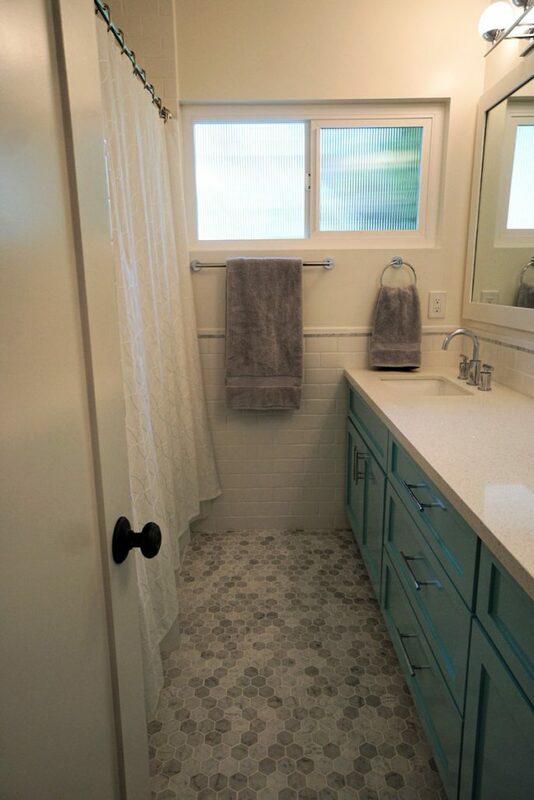 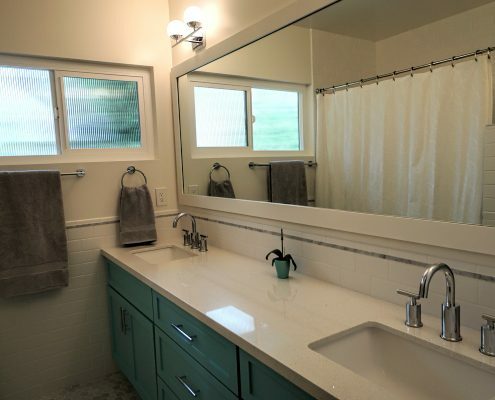 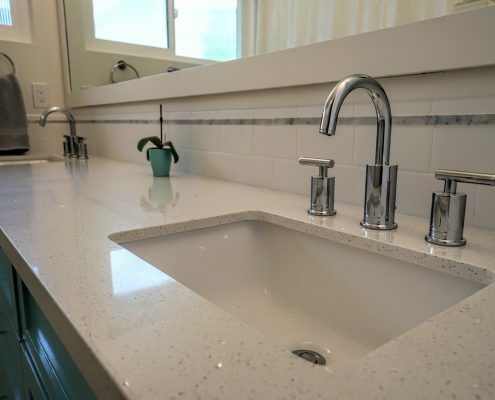 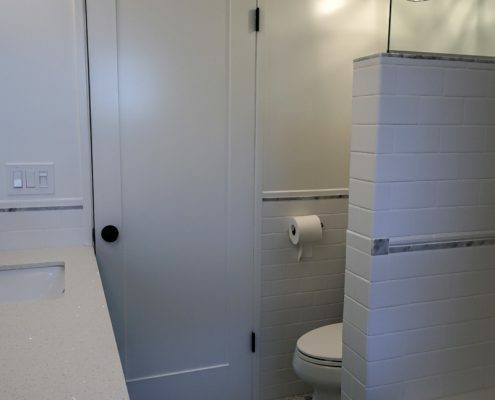 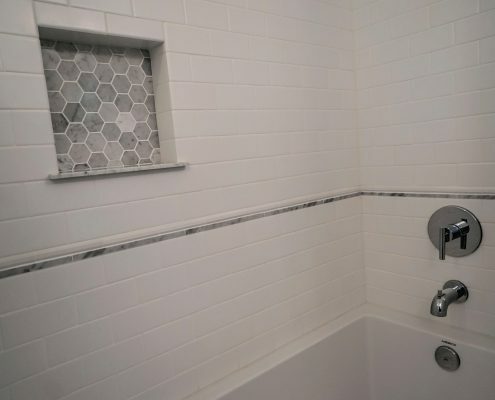 This homeowner was very hands on with the bathroom remodel, and had a lot of fun design ideas that we were happy (and excited!) 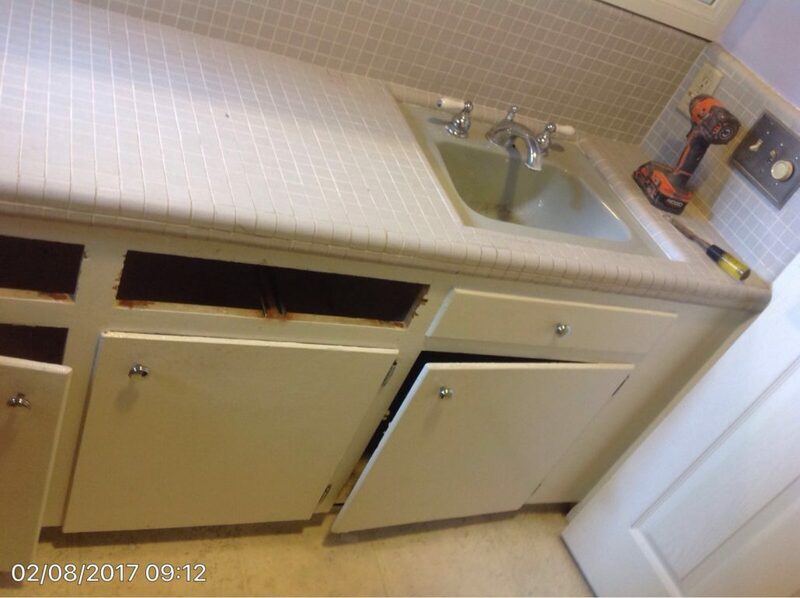 to work with. 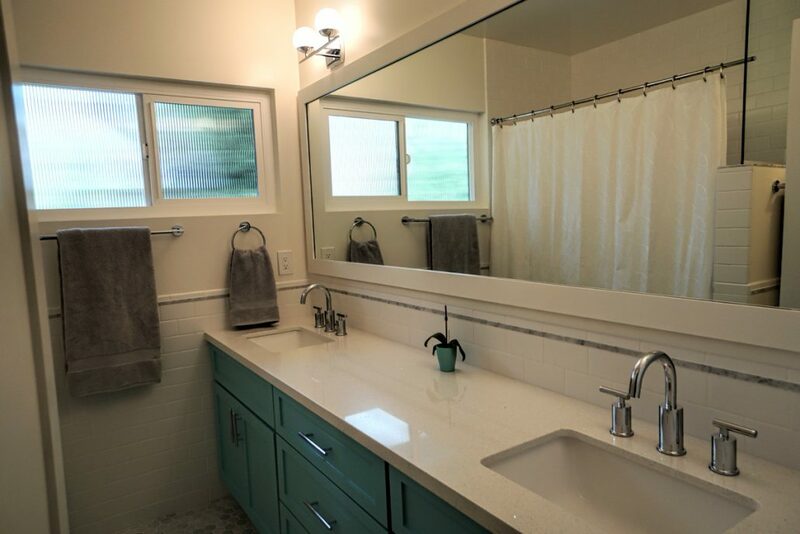 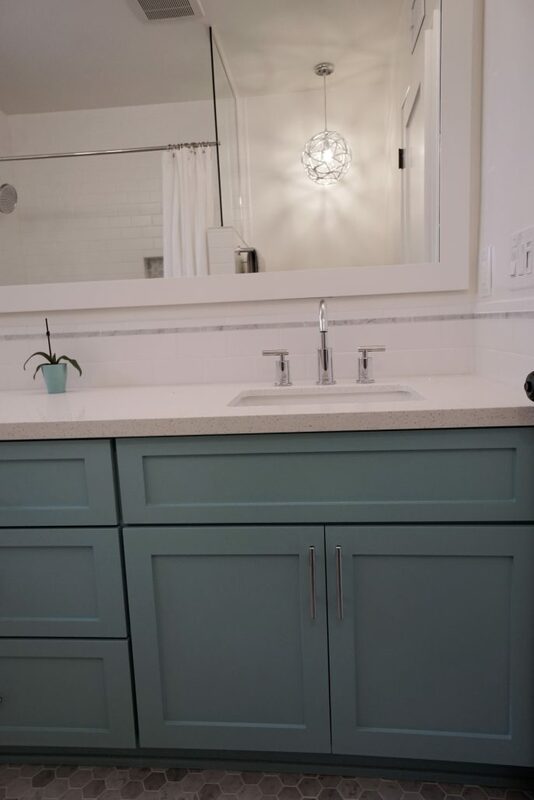 To start with, we put in a custom teal vanity with a glittery quartz countertop and shaker style doors. 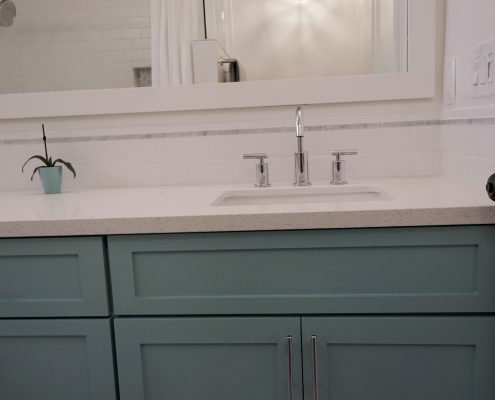 The doors and counter top give this vanity a sleek and modern feel while its’ vibrant color keeps it fun and whimsical. 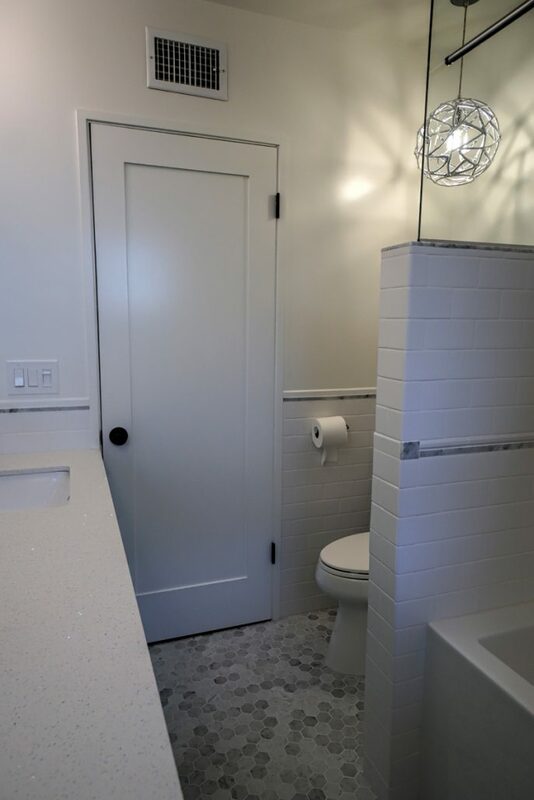 A hexagonal Carrara marble floor and a flat 3 x 6 subway tile keeps the sleek-yet-imaginative theme going throughout the bathroom. 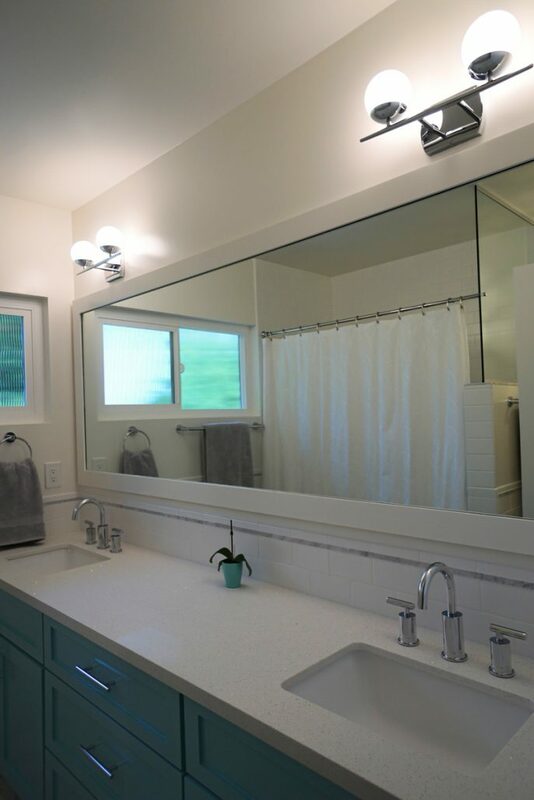 A pendant light above the toilet as well as some mid-century modern style lights above the vanity brighten up the space and adds to the bathroom’s fun personality. 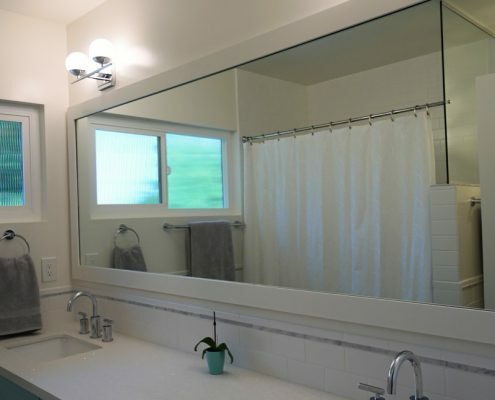 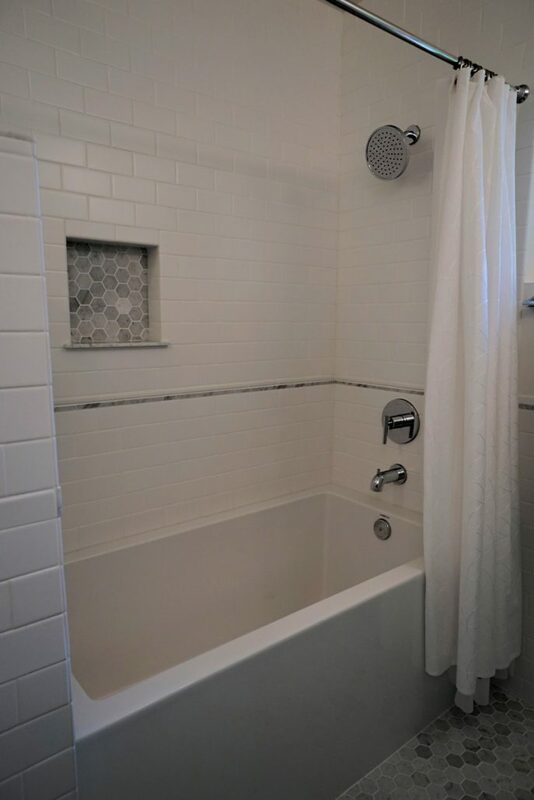 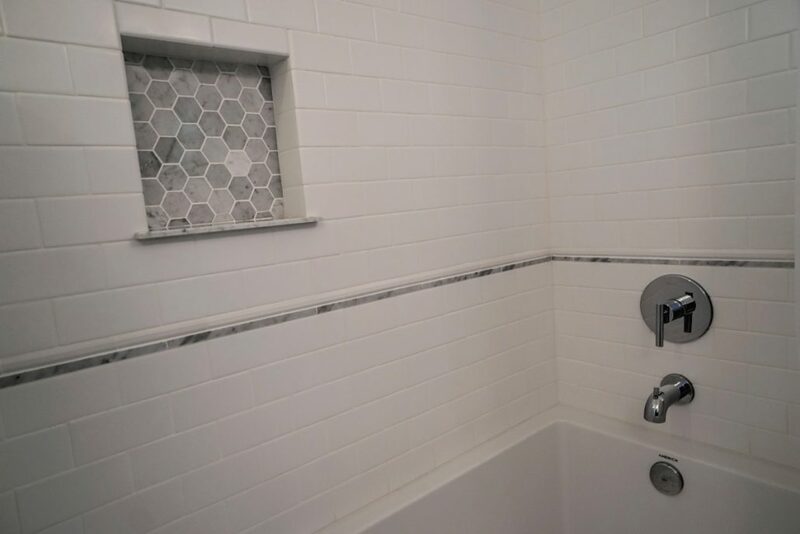 Beyond this, the family also decided to tailor their shower by including a chrome shower rod and hardware, a custom glass barrier, and the hexagonal floor tiles in the shower niche. 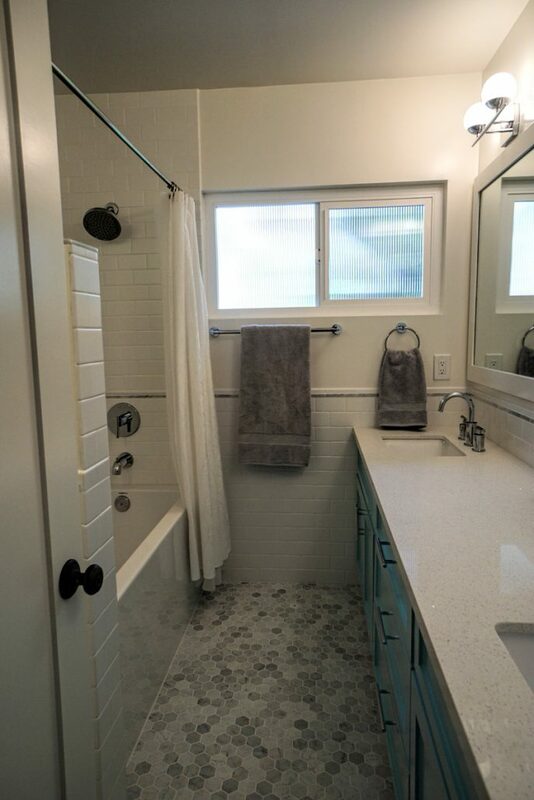 Throughout the bathroom, chrome fixtures keep this fun space both functional and elegant! 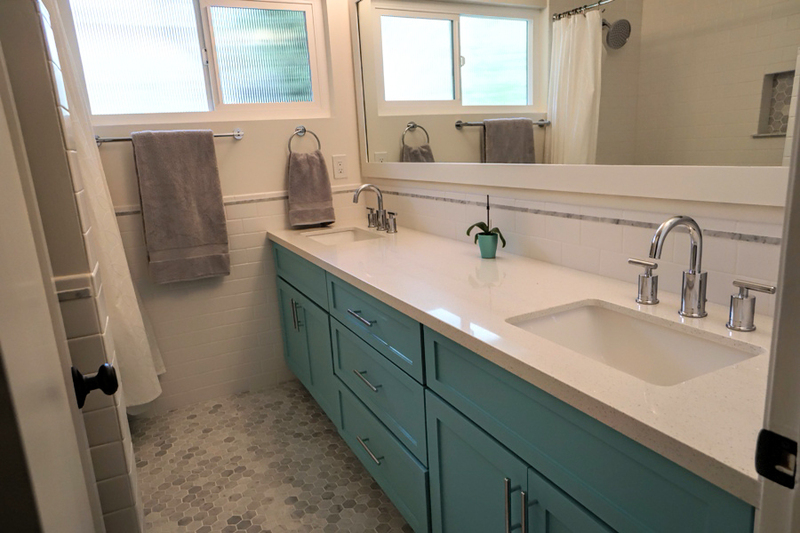 Overall, this was a very fun and creative project to work on and we couldn’t be happier with the results!